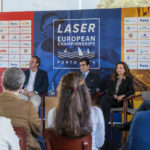 With light winds started today the Laser Europa Cup 2017 in Hyeres, France. 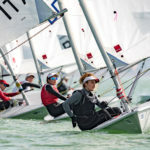 All competitors could complete their first race on event. 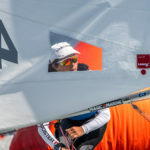 Bastian Heitz FRA, Matisse Pacaud FRA and Michael Amadori ITA were the winners in their respective Laser 4.7 fleets (159 sailors). 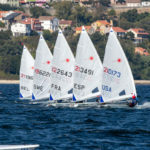 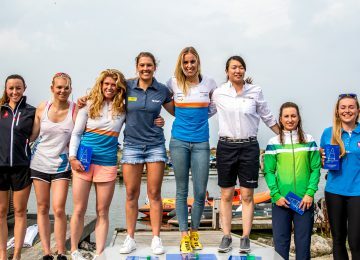 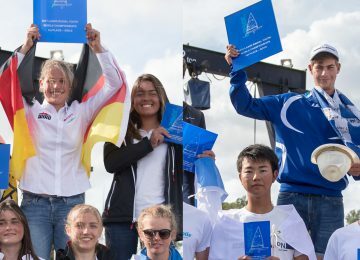 Alexandre Bouflet FRA, Dimitris Papadimitriou GRE, Nicolo Elena ITA and Maud Jayet SUI got first places in different four Laser Radial groups (233 sailors). 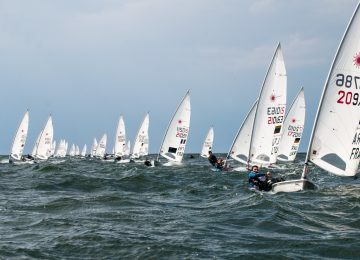 Antony Munos FRA and Giovanni Coccoluto ITA headed first Laser Standard races (94 sailors). 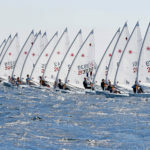 Competition continues tomorrow so stay tuned! 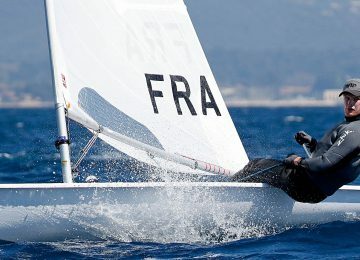 Europa Cup Hyeres 2017 – Full results here. 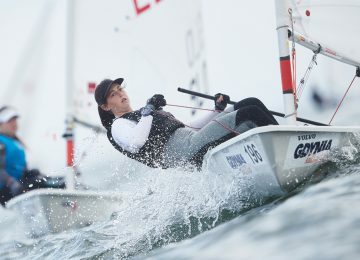 Text: Agustín Argüelles – EurILCA | Photo: Pierrick Contin.